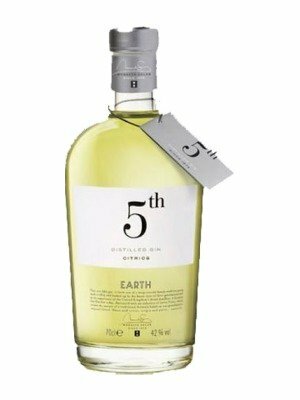 5th Earth Citric Gin is a popular Craft Gin available from TheDrinkShop in 70cl to buy online. Visit TheDrinkShop for the best price for 70cl of 5th Earth Citric Gin or compare prices on our other Craft Gin products. Gin infused with citrus peel: orange, lemon, tangerine and grapefruit. It doesnt contain citric acid, so it maintains the fizz of the tonic as well as being very refreshing and digestive. Its natural taste and its unique colour leaves no one indifferent. Tasting notes: Deep yellow in colour, lemon and grapefruit aromas, powerful acidity on the palate with hints of lemon and orange, and a sweet tangerine aftertaste. Perfect serve: Cut the thinnest possible slice of orange, grapefruit, lemon and tangerine. With the help of tweezers, paste the citrus against the wall of a balloon glass and fill it with plenty of ice. Serve 50ml of 5th Earth and complete with a tonic with a touch of citrus. Where to buy 5th Earth Citric Gin ? 5th Earth Citric Gin Supermarkets & Stockists. You can buy 5th Earth Citric Gin online in most retailers and find it in the Craft Gin aisle in supermarkets but we found the best deals online for 5th Earth Citric Gin in TheDrinkShop, Amazon.co.uk, and others. Compare the current price of 5th Earth Citric Gin in 70cl size in the table of offers below. Simply click on the button to order 5th Earth Citric Gin online now.